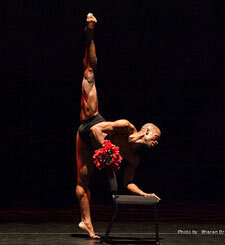 Posted on May 10, 2011, in Ballet, Ballet News, Ballet Strength, Dance, Dance Reviews and tagged ballet, ballet companies, ballet company, ballet review, complexions, complexions contemporary, contemporary ballet, dance, dance review, desmond richardson, dwight rhoden, modern dance. Bookmark the permalink. 1 Comment. I was waiting for your review even though I knew you’d love the show. When I die I will probably be reincarnated as a Complexions dancer. Desmond, can I borrow your extension for a day just to know what it feels like? I’m envious that you got to see them. Thanks for the review.